Abu Ghunaym Squad of the Hizballah Bayt Al-Maqdis“Country Reports on Terrorism 2013: Chapter 6. Foreign Terrorist Organizations,” U.S. Department of State, April 30, 2014, http://www.state.gov/j/ct/rls/crt/2013/224829.htm. al-Awdah Brigades“Country Reports on Terrorism 2013: Chapter 6. Foreign Terrorist Organizations,” U.S. Department of State, April 30, 2014, http://www.state.gov/j/ct/rls/crt/2013/224829.htm. al-Quds Brigades“Country Reports on Terrorism 2013: Chapter 6. Foreign Terrorist Organizations,” U.S. Department of State, April 30, 2014, http://www.state.gov/j/ct/rls/crt/2013/224829.htm. al-Quds Squads“Country Reports on Terrorism 2013: Chapter 6. Foreign Terrorist Organizations,” U.S. Department of State, April 30, 2014, http://www.state.gov/j/ct/rls/crt/2013/224829.htm. Harakat al-Jihad al-Islami al-Filastini“Country Reports on Terrorism 2013: Chapter 6. Foreign Terrorist Organizations,” U.S. Department of State, April 30, 2014, http://www.state.gov/j/ct/rls/crt/2013/224829.htm. Harakat al-Jihad al-Islami fi Filistin“Palestinian Islamic Jihad | Australian National Security,” Australian Government, accessed July 7, http://www.nationalsecurity.gov.au/Listedterroristorganisations/Pages/PalestinianIslamicJihad.aspx. Islamic Holy War“Palestinian Islamic Jihad | Australian National Security,” Australian Government, accessed July 7, http://www.nationalsecurity.gov.au/Listedterroristorganisations/Pages/PalestinianIslamicJihad.aspx; “Judgment for Terrorism is $248 Million,” New York Times, March 12, 1998, http://www.nytimes.com/1998/03/12/nyregion/judgment-for-terrorism-is-248-million.html. Islamic Jihad“Palestinian Islamic Jihad | Australian National Security,” Australian Government, accessed July 7, http://www.nationalsecurity.gov.au/Listedterroristorganisations/Pages/PalestinianIslamicJihad.aspx; Ruth Fletcher, “Terror Deals a Blow to Mideast Peace,” San Francisco Examiner, April 10, 1995, http://www.sfgate.com/news/article/Terror-deals-a-blow-to-Mideast-peace-3148607.php. Islamic Jihad–Palestine Faction“Palestinian Islamic Jihad | Australian National Security,” Australian Government, accessed July 7, http://www.nationalsecurity.gov.au/Listedterroristorganisations/Pages/PalestinianIslamicJihad.aspx. Islamic Jihad in Palestine“Country Reports on Terrorism 2013: Chapter 6. Foreign Terrorist Organizations,” U.S. Department of State, April 30, 2014, http://www.state.gov/j/ct/rls/crt/2013/224829.htm. Islamic Jihad of Palestine“Country Reports on Terrorism 2013: Chapter 6. Foreign Terrorist Organizations,” U.S. Department of State, April 30, 2014, http://www.state.gov/j/ct/rls/crt/2013/224829.htm. Islamic Jihad Palestine“Palestinian Islamic Jihad | Australian National Security,” Australian Government, accessed July 7, http://www.nationalsecurity.gov.au/Listedterroristorganisations/Pages/PalestinianIslamicJihad.aspx. Palestine Islamic Jihad“Country Reports on Terrorism 2013: Chapter 6. Foreign Terrorist Organizations,” U.S. Department of State, April 30, 2014, http://www.state.gov/j/ct/rls/crt/2013/224829.htm. Palestine Islamic Jihad–Shallah Faction“Country Reports on Terrorism 2013: Chapter 6. Foreign Terrorist Organizations,” U.S. Department of State, April 30, 2014, http://www.state.gov/j/ct/rls/crt/2013/224829.htm. Palestine Islamic Jihad–Shaqaqi Faction“Country Reports on Terrorism 2013: Chapter 6. Foreign Terrorist Organizations,” U.S. Department of State, April 30, 2014, http://www.state.gov/j/ct/rls/crt/2013/224829.htm. PIJ–Shallah Faction“Country Reports on Terrorism 2013: Chapter 6. Foreign Terrorist Organizations,” U.S. Department of State, April 30, 2014, http://www.state.gov/j/ct/rls/crt/2013/224829.htm. PIJ–Shaqaqi Faction“Country Reports on Terrorism 2013: Chapter 6. Foreign Terrorist Organizations,” U.S. Department of State, April 30, 2014, http://www.state.gov/j/ct/rls/crt/2013/224829.htm. Saraya al-Quds“Country Reports on Terrorism 2013: Chapter 6. Foreign Terrorist Organizations,” U.S. Department of State, April 30, 2014, http://www.state.gov/j/ct/rls/crt/2013/224829.htm. Palestinian Islamic Jihad (PIJ) is a Palestinian Islamist terrorist group sponsored by Iran and Syria. Founded in 1979 as an offshoot of the Egyptian Muslim Brotherhood, PIJ is the second-largest terrorist group in Gaza today (after Hamas). The U.S. State Department claims that PIJ has fewer than 1,000 members, though in 2011 the group claimed to have at least 8,000 battle-ready fighters in Gaza. PIJ is dedicated to eradicating Israel and establishing an autonomous Islamic Palestinian state in the lands currently comprising Israel, the West Bank, and Gaza. PIJ believes that the land of Palestine is consecrated for Islam, that Israel usurped Palestine, and, therefore, that Israel is an affront to God and Islam and that Palestine’s re-conquest is a holy task. Accordingly, PIJ refuses to negotiate with Israel, rejects a two-state solution to the Israeli-Palestinian conflict, and carries out numerous terror attacks against Israeli targets and interests. Unlike Hamas, PIJ does not participate in the political process or provide social services. PIJ’s primary sponsor is Iran, which has provided the group with millions of dollars in direct funding, as well as training and weapons. PIJ has partnered with Iranian- and Syrian-sponsored Hezbollah in carrying out joint operations. Based in Gaza until 1987, PIJ’s leadership was then exiled to Lebanon, where it reportedly began cooperating with Hezbollah and began receiving training from Iran’s Islamic Revolutionary Guard Corps.Holly Fletcher, “Palestinian Islamic Jihad,” Council on Foreign Relations, April 10, 2008, http://www.cfr.org/israel/palestinian-islamic-jihad/p15984. PIJ’s leadership relocated to Syria in 1989, but left a small group in Lebanon that launched joint attacks with Hezbollah in the 1990s.Holly Fletcher, “Palestinian Islamic Jihad,” Council on Foreign Relations, April 10, 2008, http://www.cfr.org/israel/palestinian-islamic-jihad/p15984. Syria has also provided military aid and sanctuary to PIJ, allowing the terrorist group’s leadership to occupy a Syrian Army base from 1989 until 2012.“Country Reports on Terrorism 2013: Chapter 6. Foreign Terrorist Organizations,” U.S. Department of State, April 30, 2014, http://www.state.gov/j/ct/rls/crt/2013/224829.htm. According to the U.S. State Department, PIJ’s senior leadership continues to reside in Syria and some other leaders live in Lebanon, though most PIJ members live in Gaza.“Country Reports on Terrorism 2013: Chapter 6. Foreign Terrorist Organizations,” U.S. Department of State, April 30, 2014, http://www.state.gov/j/ct/rls/crt/2013/224829.htm. International Arabic-language newspaper Asharq Al-Awsat reported in 2012 that PIJ’s Syria-based leadership had relocated to Iran but continued to enjoy positive ties with their Syrian patrons. However, a PIJ official denied that report, claiming “relations between [PIJ] and the Syrian government are excellent, unlike Hamas,”“Islamic Jihad Leadership Relocates to Iran,” Asharq Al-Awsat (London), July 22, 2012, http://www.aawsat.net/2012/07/article55241265. whose leadership left Syria after refusing to support the Assad regime during the Syrian civil war. Official representatives of the group are also stationed elsewhere in the Middle East,“Country Reports on Terrorism 2013: Chapter 6. Foreign Terrorist Organizations,” U.S. Department of State, April 30, 2014, http://www.state.gov/j/ct/rls/crt/2013/224829.htm. including Iran.Asmaa al-Ghoul, “Hamas Isolated as Iran Boosts Ties with Islamic Jihad, Fatah,” Al-Monitor, February 12, 2014, http://www.al-monitor.com/pulseen/originals/2014/02/islamic-jihad-fatah-hamas-iran-palestinians.html; “Islamic Jihad: Israeli Attacks on Gaza Backfired,” Tasnim News Agency, July 15, 2014, http://www.tasnimnews.com/english/Home/Single/432079. PIJ seeks to create a state based on sharia (Islamic law) in all the land between the Mediterranean Sea and the Jordan River—including Israel, the West Bank, and the Gaza Strip. Like Hamas, PIJ portrays the Israeli-Palestinian conflict as a religious clash, not merely a territorial dispute. PIJ believes that the land of Palestine is consecrated for Islam and that, therefore, Israel usurped Palestine. Consequently, Israel’s very existence is an affront to God and Islam, and destroying Israel and reconquering Palestine are religious obligations. In PIJ’s ideology, an Islamic state of Palestine can be established only through jihad (holy war) and the destruction of Israel. According to the “Manifesto of the Islamic Jihad in Palestine,” a document discovered by federal authorities investigating a Florida man with suspected PIJ ties, the group rejects “any peaceful solution to the Palestinian cause” and affirms “the Jihad solution and the martyrdom style as the only choice for liberation.”“Statement of the Attorney General Indictments,” U.S. Department of Justice, February 20, 2003, http://www.justice.gov/archive/ag/speeches/2003/02202003pressconference.htm. Accordingly, PIJ completely rejects negotiations with Israel or a two-state solution. PIJ’s founders, Fathi Shaqaqi and Abd al-Aziz Awda, drew initial inspiration from the Egyptian Muslim Brotherhood. However, both men left the Brotherhood in the late 1970s, feeling the group had become too moderate and did not focus enough on the plight of the Palestinians.Holly Fletcher, “Palestinian Islamic Jihad,” Council on Foreign Relations, April 10, 2008, http://www.cfr.org/israel/palestinian-islamic-jihad/p15984. Inspired by Ayatollah Khomeini’s Islamic Revolution in Iran, Shaqaqi and Awda founded PIJ on the principles Khomeini advocated, with the goal of creating an Islamic state within the land that constituted the Palestine mandate prior to Israel’s creation in 1948.Holly Fletcher, “Palestinian Islamic Jihad,” Council on Foreign Relations, April 10, 2008, http://www.cfr.org/israel/palestinian-islamic-jihad/p15984. PIJ is dedicated singularly to violent jihad. While Hamas has engaged in indirect talks with Israel (including on prisoner exchanges and ceasefires), PIJ refuses to negotiate with Israel (though the group has participated in pan-Palestinian ceasefires negotiated by Egypt). Also unlike Hamas, PIJ generally does not provide social services.Holly Fletcher, “Palestinian Islamic Jihad,” Council on Foreign Relations, April 10, 2008, http://www.cfr.org/israel/palestinian-islamic-jihad/p15984. However, in 2013, when Iran and Hamas were estranged due to Hamas’s abandonment of the Iranian-allied Assad regime in Syria’s civil war, Iran tasked PIJ with distributing $2 million in Iranian food aid in Gaza from the Imam Khomeini Relief Foundation, a Beirut-based Iranian charity. The New York Times interpreted the move as an attempt to extend Iran’s influence in Gaza while undermining Hamas and strengthening the rival PIJ.Fares Akram, “In Gaza, Iran Finds an Ally More Agreeable Than Hamas,” New York Times, July 31, 2013, http://www.nytimes.com/2013/08/01/world/middleeast/in-gaza-iran-finds-a-closer-ally-than-hamas.html. Ramadan Shallah, a former professor at the University of South Florida, has served as PIJ’s secretary-general since his predecessor, PIJ founder Fathi Shaqaqi, was killed by Israel’s Mossad in 1995.Susan Aschoff, “Jihad Leader Emerged from Shadows of USF,” St. Petersburg Times, February 21, 2003, http://www.sptimes.com/2003/02/21/TampaBay/Jihad_leader_emerged_.shtml. PIJ is governed by a leadership council.“Islamic Jihad Leadership Relocates to Iran,” Asharq Al-Awsat, July 22, 2012, http://www.aawsat.net/2012/07/article55241265. The al-Quds Brigades, PIJ’s armed wing, carries out violent attacks against Israel. The Brigades has regional staff commands. Each member within a command oversees a cell within that command’s region. 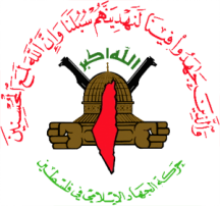 The PIJ leadership issues orders and staff commanders carry out PIJ operations and coordinate cells.“Terrorist Organization Profile: Al-Quds Brigades,” START: National Consortium for the Study of Terrorism and Responses to Terrorism, accessed June 28, 2014, http://www.start.umd.edu/tops/terrorist_organization_profile.asp?id=4430. The U.S. State Department claims that PIJ has fewer than 1,000 members,“Country Reports on Terrorism 2013: Chapter 6. Terrorist Organizations,” U.S. Department of State, April 30, 2014, http://www.state.gov/j/ct/rls/crt/2013/224829.htm. though the group claimed in 2011 to have at least 8,000 battle-ready fighters in Gaza.Crispian Balmer and Nidal al-Mughrabi, “Islamist Jihad Ready for All-Out War with Israel,” Reuters, November 3, 2011, http://www.reuters.com/article/2011/11/03/us-palestinians-israel-islamicjihad-idUSTRE7A24RR20111103. Iran is PIJ’s primary source of financial support, according to the U.S. State Department.“Country Reports on Terrorism 2013: Chapter 6. Terrorist Organizations,” U.S. Department of State, April 30, 2014, http://www.state.gov/j/ct/rls/crt/2013/224829.htm. A 1998 lawsuit against Iran in U.S. federal court revealed that the Islamic Republic allocated $2 million in its annual budget to PIJ.Richard Sisk, “Terror Victim’s Dad Wins $247M Lawsuit Vs. Iran,” New York Daily News, March 12, 1998, http://www.nydailynews.com/archives/news/terror-victim-dad-wins-247m-lawsuit-iran-article-1.789077. That number has since skyrocketed—in late 2013, PIJ sources revealed that the terror group received about $3 million per month from Iran.Hazem Balousha, “Islamic Jihad May Respond If Israel Enters Syria War,” Al-Monitor, September 2, 2013, http://www.al-monitor.com/pulse/originals/2013/09/islamic-jihad-syria-us-strike.html. During the 2012 war between Israel and Hamas, PIJ fired rockets into Israeli territory and hung banners across Gaza streets with the phrase, “Thank you, Iran.”Hazem Balousha, “Islamic Jihad May Respond If Israel Enters Syria War,” Al-Monitor, September 2, 2013, http://www.al-monitor.com/pulse/originals/2013/09/islamic-jihad-syria-us-strike.html. A February 2014 report by Ali Nourizadeh, director of the Center for Iranian Studies in London, stated that Iran provides PIJ with $100 to $150 million annually.“Expert: Hamas Received $2 Billion from Iran; Islamic Jihad Gets $150 Million Annually,” Algemeiner, February 11, 2014, http://www.algemeiner.com/2014/02/11/expert-hamas-received-2-billion-from-iran-islamic-jihad-gets-150-million-annually/. In mid-2015, a senior PIJ leader said the group was suffering from its worst financial crisis in history. One PIJ leader attributed the crisis to Egypt’s closure of the smuggling tunnels beneath the Gaza-Egypt border. The same source also said Iran had cut back its funding to the group.Hazem Balousha, “Islamic Jihad’s coffers run dry,” Al-Monitor, June 2, 2015, http://www.al-monitor.com/pulse/originals/2015/06/palestine-islamic-jihad-financial-crisis-money-iran-hezbolla.html. Iran reportedly cut funding because PIJ refused to issue a statement supporting Iran in its conflict against Saudi Arabia in Yemen.Khaled Abu Toameh, “Report: Iran stops cash flow to Islamic Jihad organization,” Jerusalem Post, May 21, 2015, http://www.jpost.com/Middle-East/Report-Iran-stops-cash-flow-to-Islamic-Jihad-organization-403727. Iran had reportedly cut PIJ’s funding by 90 percent as of January 2016. The loss in funding allegedly forced PIJ to slash salaries of its employees. According to media reports, Iran still considered PIJ a “friend” but one the country is unable to continue to support financially. PIJ’s leaders insisted the group still had good relations with Iran.“Iran cuts 90% of support for Palestinian Islamic Jihad,” Middle East Monitor, January 11, 2016, https://www.middleeastmonitor.com/news/middle-east/23278-iran-cuts-90-of-support-for-palestinian-islamic-jihad. In May 2016, the Iranian government reportedly restored its relations with PIJ with an annual allocation of $70 million. The allocation followed visit to Tehran by a PIJ delegation the previous month.“Iran resumes funding for Palestinian Islamic Jihad: report,” i24 News, May 25, 2016, https://www.i24news.tv/en/news/international/middle-east/114490-160525-iran-resumes-funding-for-palestinian-islamic-jihad-group-report. As of August 2018, Iran reportedly transferred $30 million annually to PIJ and $70 million to Hamas.Elior Levy, “Iran's $100 million aid to Hamas and Islamic Jihad,” Ynet News, August 3, 2018, https://www.ynetnews.com/articles/0,7340,L-5321985,00.html. Fathi Shaqaqi founded PIJ after being jailed for his involvement in the Palestine Liberation Force.Stephen E. Atkins, Encyclopedia of Modern Worldwide Extremists and Extremist Groups (Westport, CT: Greenwood Press, 2004), 239. Original PIJ recruits included ex-prisoners Shaqaqi met in jail, upon their return to the Gaza Strip.Stephen E. Atkins, Encyclopedia of Modern Worldwide Extremists and Extremist Groups (Westport, CT: Greenwood Press, 2004), 239. Shaqaqi was also able to recruit in the early 1980s through early PIJ member Abdul Aziz Awda, a popular preacher and professor of Islamic law. Awda attracted many to the PIJ cause through his sermons at one of Gaza’s largest mosques.Stephen E. Atkins, Encyclopedia of Modern Worldwide Extremists and Extremist Groups (Westport, CT: Greenwood Press, 2004), 239. Since PIJ’s goal has always been to execute strategic military operations against Israel, the group has focused on targeted recruiting rather than simply gaining a large membership. For example, PIJ recruited students to demonstrate at Bir Zeit University in the early 1980s. An April 1987 incident resulted in Israeli forces opening fire on demonstrators, resulting in the death of one student.Stephen E. Atkins, Encyclopedia of Modern Worldwide Extremists and Extremist Groups (Westport, CT: Greenwood Press, 2004), 239. PIJ’s leadership began recruiting suicide bombers in the early 1990s and originally did not permit women to serve in that role. However, PIJ officially began recruiting female suicide bombers in 2003, justifying women bombers as defending their honor against Israeli invaders. PIJ’s first female suicide bomber, a 19-year-old student named Hiba Daraghmeh, attacked a shopping mall, killing three.Debra D. Zedalis, “Female Suicide Bombers,” Strategic Studies Institute, June 2004, http://www.strategicstudiesinstitute.army.mil/pdffiles/pub408.pdf. The next such bomber, Hanadi Jaradat, a 29-year-old lawyer, blew herself up in a restaurant in October 2003, killing 21.Debra D. Zedalis, “Female Suicide Bombers,” Strategic Studies Institute, June 2004, http://www.strategicstudiesinstitute.army.mil/pdffiles/pub408.pdf. Selection and persuasion methods for women suicide bombers are similar to those employed for men. Recruiters of female suicide bombers “take advantage of the candidates’ innocence, enthusiasm, personal distress, and thirst for revenge,” according to U.S. Army civilian professional Debra Zedalis.Debra D. Zedalis, “Female Suicide Bombers,” Strategic Studies Institute, June 2004, http://www.strategicstudiesinstitute.army.mil/pdffiles/pub408.pdf. Like other violent Islamist groups, PIJ uses training methods and tactics such as exercises in suicide operations and battlefield tactics against Israeli soldiers. PIJ has boasted of opening its ranks to children as young as six years old. PIJ “summer camps” draw as many as 10,000 participants per session.Harriet Sherwood, “Playing Politics: Summer Camp for Gaza’s Children,” Guardian (London), July 29, 2010, http://www.theguardian.com/world/2010/jul/29/gaza-children-militant-summer-camps. The camps’ activities include wielding AK-47s, planting land mines, and mock operations to kidnap Israeli soldiers.“Following Hamas Lead, PIJ Opens Camps to Train Child Soldiers,” Tower, June 13, 2013, http://www.thetower.org/following-hamas-lead-palestinian-islamic-jihad-opens-camps-to-train-child-soldiers/. PIJ spokesman Daoud Shihab describes such training of children as a way to ensure “a generation strong [in] resistance.”“Following Hamas Lead, PIJ Opens Camps to Train Child Soldiers,” Tower, June 13, 2013, http://www.thetower.org/following-hamas-lead-palestinian-islamic-jihad-opens-camps-to-train-child-soldiers/. These “Generation of Faith” camps are not restricted to combat training, however. Recruits are “educated intellectually, militarily, and politically.”Hazem Balousha, “Islamic Jihad, Hamas Hold Military Training Camps for Children,” Al-Monitor, June 21, 2013, http://www.al-monitor.com/pulse/originals/2013/06/gaza-summer-camps-children-islamic-jihad.html#. Ahmad al-Moudalal, a PIJ leader who helps to train children fighters, explained, “We are resistance movements. It is therefore normal for us to want to attract young people, instill the culture of resistance in their minds and prepare them to bear arms against the Israeli enemy.”Hazem Balousha, “Islamic Jihad, Hamas Hold Military Training Camps for Children,” Al-Monitor, June 21, 2013, http://www.al-monitor.com/pulse/originals/2013/06/gaza-summer-camps-children-islamic-jihad.html#. A key component of PIJ’s doctrine is the belief in violent jihad in order to liberate Palestine. PIJ has been responsible for numerous suicide attacks and hundreds of rockets against Israeli civilian centers, resulting in the deaths of dozens of Israeli civilians and soldiers. While PIJ has signed on to wider Palestinian ceasefires with Israel, it is highly unlikely the group will ever renounce terrorism, which has become an integral part of PIJ’s raison d’etre. PIJ believes its goal of creating an Islamic Palestine can be achieved only through the destruction of Israel, and so jihad has become a central tenant of PIJ’s ideology. In pursuit of its jihadist ideology, PIJ has launched numerous bombing attacks against Israeli civilian targets. August 1987: The commander of Israel’s military police is shot to death by PIJ in the Gaza Strip.Holly Fletcher, “Palestinian Islamic Jihad,” Council on Foreign Relations, April 10, 2008, http://www.cfr.org/israel/palestinian-islamic-jihad/p15984. February 1990: PIJ terrorists attack an Israeli tour bus in Egypt, killing 11 people, including nine Israelis, and injuring 17.“Patterns of Global Terrorism: 1990: Middle East Overview,” Federation of American Scientists, April 30, 1991, http://fas.org/irp/threat/terror_90/mideast.html. December 1993: A PIJ shooting kills Israeli army reservist David Mashrati aboard a bus.Holly Fletcher, “Palestinian Islamic Jihad,” Council on Foreign Relations, April 10, 2008, http://www.cfr.org/israel/palestinian-islamic-jihad/p15984. April 6, 1994: PIJ militants explode a car bomb next to a public bus in Afula, Israel, killing nine and injuring 50.“Statement of the Attorney General, Indictments,” U.S. Department of Justice, February 20, 2003, http://www.justice.gov/archive/ag/speeches/2003/02202003pressconference.htm. September 4, 1994: A PIJ drive-by shooting in Gaza kills one and injures several others.“Statement of the Attorney General, Indictments,” U.S. Department of Justice, February 20, 2003, http://www.justice.gov/archive/ag/speeches/2003/02202003pressconference.htm. November 11, 1994: A Palestinian riding a bicycle detonates explosives strapped to his body at an Israeli army checkpoint at Netzarim junction in the Gaza Strip, killing three Israeli soldiers and wounding six Israeli soldiers and six Palestinians. PIJ claims responsibility, stating the attack was in retaliation for a November 2 car bomb that killed PIJ leader Hani Abed.Mary Curtius, “Suicide Bomber Kills 3 Israeli Soldiers in Gaza,” Los Angeles Times, November 12, 1994, http://articles.latimes.com/1994-11-12/news/mn-61608_1_israelis-gaza-soldiers. January 22, 1995: Two consecutive bombs explode at the Beit Lid junction near Netanya, Israel, killing 18 Israeli soldiers and one civilian. PIJ claims responsibility.Clyde Haberman, “Suicide Bombs Kill 19 in Israel; Shadow Cast over Peace Talks,” New York Times, January 23, 1995, http://www.nytimes.com/1995/01/23/world/suicide-bombs-kill-19-in-israel-shadow-cast-over-peace-talks.html. April 9, 1995: A PIJ suicide bomber blows up his vehicle next to an Israeli bus in the Gaza Strip, killing seven Israeli soldiers and 20-year-old American college student Alisa Flatow.David Stout, “American Slain In Gaza Is mourned,” New York Times, April 13, 1995, http://www.nytimes.com/1995/04/13/world/american-slain-in-gaza-is-mourned.html. March 4, 1996: A PIJ suicide bomber kills 13 and injures 75 at a Tel Aviv shopping mall.Holly Fletcher, “Palestinian Islamic Jihad,” Council on Foreign Relations, April 10, 2008, http://www.cfr.org/israel/palestinian-islamic-jihad/p15984. November 6, 1998: Two PIJ suicide bombers blow themselves up in the crowded Mahane Yehuda market in Jerusalem, wounding about 20 people.Deborah Sontag, “24 in Jerusalem Injured by Blast from Car Bomb,” New York Times, November 7, 1998, http://www.nytimes.com/1998/11/07/world/24-in-jerusalem-injured-by-blast-from-car-bomb.html; Anthony H. Cordesman, The Israeli-Palestinian War: Escalating to Nowhere (Westport, CT: Praeger, 2005), 27. October 26, 2000: PIJ claims responsibility for a suicide bombing in the Kisufim settlement, which wounds one soldier.Anthony H. Cordesman, The Israeli-Palestinian War: Escalating to Nowhere (Westport, CT: Praeger, 2005), 211. The attack marked the fifth anniversary of PIJ leader Fathi Shaqaqi’s death and was the first suicide bombing of the second intifada. November 2, 2000: Two people are killed in a car bomb explosion near the Mahane Yehuda market in Jerusalem. PIJ claims responsibility.“Recent Attacks Thrust Islamic Jihad Back into the Headlines,” CNN.com, November 2, 2000, http://www-cgi.cnn.com/2000/WORLD/meast/11/02/islamic.jihad/index.html. March 27, 2001: A car bomb explodes in the Talpiot industrial/commercial zone in Jerusalem, wounding three people. PIJ claims responsibility.“3 Injured in Jerusalem Car Bomb,” CNN.com, March 27, 2001, http://edition.cnn.com/2001/WORLD/meast/03/27/mideast.02/; J.K. Dineen, Express Wire, Services, “Fury in Israel: Jerusalem Seethes as 2 Blasts Follow Infant’s Killing,” New York Daily News, March 27, 2001, http://www.nydailynews.com/archives/news/fury-israel-jerusalem-seethes-2-blasts-follow-infant-killing-article-1.916685; “Incident Summary for GTDID: 200103270008,” Global Terrorism Database, accessed March 10, 2015, http://www.start.umd.edu/gtd/search/IncidentSummary.aspx?gtdid=200103270008. November 29, 2001: A suicide bomber blows himself up on board a bus on a main highway in northern Israel, killing three passengers. PIJ and Fatah claim responsibility.“Suicide and Other Bombing Attacks in Israel Since the Declaration of Principles (Sept. 1993),” Israel Ministry of Foreign Affairs, accessed March 10, 2015, http://www.mfa.gov.il/mfa/foreignpolicy/terrorism/palestinian/pages/suicide%20and%20other%20bombing%20attacks%20in%20israel%20since.aspx. June 5, 2002: A PIJ suicide attack at Israel’s Megiddo Junction kills 18 and injures 50.“Car Bomb Kills 17 on Bus in Israel,” CNN.com, June 5, 2002, http://www.cnn.com/2002/WORLD/meast/06/05/mideast.bomb/index.html. October 4, 2003: A PIJ suicide bomber blows himself up at Maxim restaurant in Haifa, killing 22 and injuring 60.Holly Fletcher, “Palestinian Islamic Jihad,” Council on Foreign Relations, April 10, 2008, http://www.cfr.org/israel/palestinian-islamic-jihad/p15984. October 26, 2005: A bombing at a market in Hadera, Israel kills five people. PIJ claims responsibility.Holly Fletcher, “Palestinian Islamic Jihad,” Council on Foreign Relations, April 10, 2008, http://www.cfr.org/israel/palestinian-islamic-jihad/p15984. April 17, 2006: PIJ and the Fatah-affiliated Al Aqsa Martyrs’ Brigade claim responsibility for a suicide bombing that killed 11 people at a sandwich stand near Tel Aviv’s old central bus station.“TIMELINE: Recent Bomb and Shooting Attacks against Israelis,” Haaretz (Tel Aviv), November 21, 2012, http://www.haaretz.com/news/diplomacy-defense/timeline-recent-bomb-and-shooting-attacks-against-israelis-1.479592. January 2007: A suicide attack at an Eilat bakery kills three. PIJ and the Fatah-affiliated Al Aqsa Martyrs’ Brigade claim responsibility.Holly Fletcher, “Palestinian Islamic Jihad,” Council on Foreign Relations, April 10, 2008, http://www.cfr.org/israel/palestinian-islamic-jihad/p15984. March 2008: PIJ and Hamas jointly claim responsibility for an explosion that killed two IDF soldiers patrolling the security fence in the central Gaza Strip.“Country Reports on Terrorism 2008: Chapter 6. Terrorist Organizations,” U.S. Department of State, April 30, 2009, http://www.state.gov/j/ct/rls/crt/2008/122449.htm. April 2008: PIJ fires 216 rockets and mortar shells at various Israeli towns.“Country Reports on Terrorism 2008: Chapter 6. Terrorist Organizations,” U.S. Department of State, April 30, 2009, http://www.state.gov/j/ct/rls/crt/2008/122449.htm. June 2008: PIJ claims responsibility for firing a Grad rocket that hit a shopping mall in Ashkelon, Israel, wounding 15. Israeli authorities accuse Iran of providing PIJ with Grad rockets.“15 Wounded as Grad Rocket Strikes Ashkelon Shopping Mall,” Jerusalem Post, March 14, 2008, http://www.jpost.com/Israel/15-wounded-as-Grad-rocket-strikes-Ashkelon-shopping-mall. January 8, 2011: PIJ fires two mortars into southern Israel, killing two Thai nationals.“Palestinian Islamic Jihad | Australian National Security,” Australian Government, accessed July 7, 2014, http://www.nationalsecurity.gov.au/Listedterroristorganisations/Pages/PalestinianIslamicJihad.aspx. August 20, 2011: PIJ fires a volley of rockets into southern Israel, killing one civilian and wounding seven.“Palestinian Islamic Jihad | Australian National Security,” Australian Government, accessed July 7, 2014, http://www.nationalsecurity.gov.au/Listedterroristorganisations/Pages/PalestinianIslamicJihad.aspx. October 29, 2011: PIJ fires a number of rockets into southern Israel, killing one civilian and wounding two.“Palestinian Islamic Jihad | Australian National Security,” Australian Government, accessed July 7, 2014, http://www.nationalsecurity.gov.au/Listedterroristorganisations/Pages/PalestinianIslamicJihad.aspx. March 2012: PIJ fires almost 200 missiles into Israel from Gaza.Asmaa al-Ghoul, “Islamic Jihad Movement Maintains Popularity in Gaza,” Al-Monitor, May 7, 2013 http://www.al-monitor.com/pulseen/originals/2013/05/islamic-jihad-movement-gaza-palestine.html. November 2012: Hamas and PIJ are credited for bombing a Tel Aviv bus that wounds at least 30 people.Gil Cohen, “Israel Arrests Hamas, Islamic Jihad Cell behind Tel Aviv Bus Bomb,” Haaretz (Tel Aviv), November 22, 2012, http://www.haaretz.com/news/diplomacy-defense/israel-arrests-hamas-islamic-jihad-cell-behind-tel-aviv-bus-bomb-1.479958. November 2012: PIJ takes credit for a rocket fired from Gaza at Tel Aviv. The rocket explodes in an open field, causing no casualties.“Gaza Terrorists Fire Two Rockets at Tel Aviv,” Jerusalem Post, November 16, 2014, http://www.jpost.com/Defense/Gaza-terrorists-fire-two-rockets-at-Tel-Aviv. June 24, 2013: Six rockets fired from Gaza explode in southern Israel. No casualties are reported. Israeli intelligence believes PIJ fired the rockets as an act of defiance against the Hamas authorities in Gaza.“Six Rockets Fired from Gaza Explode in Southern Israel,” Times of Israel, June 24, 2013, http://www.timesofisrael.com/three-rockets-fired-from-gaza-explode-in-south/. December 22, 2013: An Israeli police sapper is injured when a bomb he was trying to defuse on a Bat Yam bus explodes.“Disaster Averted as Bomb Explodes on Bus after Passengers Evacuated,” Times of Israel, December 22, 2013, http://www.timesofisrael.com/i-injured-in-explosion-on-bat-yam-bus/. Four PIJ members are arrested a month later for coordinating the attack.““Bat Yam Bus Bombers Caught, Were Planning Larger Blast in Tel Aviv,” Times of Israel, January 2, 2014, http://www.timesofisrael.com/four-islamic-jihad-members-arrested-over-bat-yam-bus-bombing/. March 2014: PIJ fires a round of mortars from Gaza into Israel, prompting an Israeli strike that kills three PIJ commanders. In retaliation, PIJ launches at least 130 locally made rockets into Israel as part of a military operation called Breaking the Silence.JC Finley, “US & UN Condemn Islamic Jihad Rocket Attack on Israel,” United Press International, March 12, 2014, http://www.upi.com/Top_News/World-News/2014/03/12/US-UN-condemn-Gaza-rocket-attacks-on-Israel/8791394656512/; “Rasha Abou Jalal, “Islamic Jihad gains support in Gaza as Hamas declines,” Al-Monitor, April 10, 2014, http://www.al-monitor.com/pulse/originals/2014/04/islamic-jihad-support-gaza-expense-hamas.html. The operation is reportedly in coordination with Hamas.Hani Ibrahim, “Hamas’ Growing Rivalry with Islamic Jihad,” Al Akhbar English (Beirut), April 16, 2014, http://english.al-akhbar.com/content/hamas%E2%80%99-growing-rivalry-islamic-jihad. July 8, 2014: Israel launches Operation Protective Edge, aimed at striking Hamas and ending rocket fire from Hamas and PIJ in Gaza.“Operation Protective Edge: Israel bombs Gaza in retaliation for rockets,” Guardian (London), July 8, 2014, http://www.theguardian.com/world/2014/jul/08/operation-protective-edge-israel-bombs-gaza-in-retaliation-for-rockets. PIJ takes credit for firing 60 rockets in recent days and claims it has begun an operation called Stable Building.Spencer Ho and Yifa Yaakov, “Israel Hits Hamas, Islamic Jihad Leaders after Rockets Land North of Tel Aviv,” Times of Israel, July 8, 2014, http://www.timesofisrael.com/israel-pounds-dozens-of-gaza-targets-in-major-counteroffensive/. Some analysts argue PIJ has been strengthened by the latest conflict. July 28, 2014: Seven Palestinian children die after a rocket strikes a playground in Gaza’s al-Shati refugee camp, while another rocket hits al-Shifa Hospital. Palestinians initially blamed Israel, but the strikes were the result of misfired rockets by PIJ.Yifa Yaakov, “IDF: Terrorists’ Rockets Hit Gaza Hospital, Refugee Camp,” Times of Israel, July 28, 2014, http://www.timesofisrael.com/idf-terrorists-rockets-hit-gaza-hospital-refugee-camp/. August 5, 2014: An Egyptian-negotiated 72-hour ceasefire takes hold. Israeli and Palestinian negotiators head to Cairo to discuss a longer truce. Representatives of Fatah, Hamas, and PIJ are part of the Palestinian delegation.“Israel-Hamas Cease-Fire Holding, Truce Talks to Open in Cairo,” Voice of America, August 5, 2014, http://www.voanews.com/content/israel-hamas-begin-72-hour-truce-gaza/1971724.htm; “Rory Jones, “Israel, Hamas Agree to Gaza Policing Plan,” Wall Street Journal, August 6, 2014, http://online.wsj.com/articles/israel-hamas-agree-to-gaza-policing-plan-1407372983. August 8, 2014: After a three-day ceasefire between Israel and Hamas expires, PIJ fires three Grad rockets at Ashkelon and promises to continue firing until Israel accedes to all of Hamas’s demands.Ola Attalah, “Islamic Jihad Claims Rocket Barrage at Israel,” Daily Star (Beirut), August 8, 2014, http://www.dailystar.com.lb/News/Middle-East/2014/Aug-08/266473-islamic-jihad-claims-rocket-barrage-at-israel.ashx#axzz3A3RYuBbz. August 20, 2014: According to Iran’s state-run network Press TV, PIJ has fired 3,000 rockets at Israel during the 2014 Israel-Gaza war.“Islamic Jihad fired 3,000 rockets on Israeli cities,” Press TV, August 30, 2014, http://www.presstv.ir/detail/2014/08/30/377060/gaza-fires-3000-rockets-into-israel/. September 4, 2014: After the 2014 Israel-Gaza war ends, Al Jazeera broadcasts a video of PIJ’s tunnel systems. In the video, a PIJ militant declares that the group is preparing for its next war with Israel and that the tunnels will be used to launch attacks and fire mortars on Israel.“Video shows Islamic Jihad’s new Gaza tunnels,” i24 News, September 9, 2014, http://www.i24news.tv/en/news/israel/diplomacy-defense/43188-140909-video-shows-islamic-jihad-s-new-gaza-tunnels;“#4478-Palestinian Islamic Jihad Digs New Tunnels in Gaza,” Middle East Media Research Institute, September 4, 2014, http://www.memritv.org/clip/en/4478.htm. October 29, 2014: Moataz Hejazi shoots and critically wounds prominent right-wing Israeli activist Yehuda Glick in Jerusalem, Israel. After the shooting, police track Hejazi to his home and he dies in a shootout.Daniel K. Eisenbud, “Police and Shin Bet kill suspect in shooting of right-wing activist Yehuda Glick,” Jerusalem Post, October 30, 2014, http://www.jpost.com/Arab-Israeli-Conflict/Report-Suspect-in-right-wing-activist-Yehuda-Glicks-shooting-killed-by-police-380238. The following day, PIJ publishes an obituary for Hijazi on its website, saying that he had been a member of the organization.“Nir Hasson, “Israeli police kill Palestinian suspect in Jerusalem assassination attempt,” Haaretz (Tel Aviv), October 30, 2014, http://www.haaretz.com/news/diplomacy-defense/.premium-1.623528. August 20, 2015: Four rockets land inside Israel from the Syrian side of the Golan Heights, causing no injuries. Israel accuses PIJ of firing the rockets with Iranian support. PIJ denies the charge.Suleiman Al-Khalidi, Nidal al-Mughrabi, and Dan Williams, “Israel launches strikes into Syria after rocket attack,” August 20, 2015, http://www.reuters.com/article/2015/08/21/us-israel-lebanon-rockets-idUSKCN0QP1OR20150821. October 3, 2015: PIJ claims responsibility after 19-year-old Mohannad Halabi stabs two Israeli men to death in Jerusalem’s Old City. Police shot him dead. Israeli authorities demolished Halabi’s house on January 9, 2016. A Palestinian campaign to rebuild the house raised $60,000 and lauded Halabi as the “initiator of the Jerusalem intifada.”Agence France-Presse, “Palestinians collect $60,000 to rebuild dead attacker’s home,” Yahoo News, January 12, 2016, http://news.yahoo.com/palestinians-collect-60-000-rebuild-dead-attackers-home-204948996.html. December 1, 2015: Palestinian Authority police arrest a six-member PIJ cell transporting grenades, firearms, and other explosives in the West Bank. The cell reportedly planned to use the weaponry to attack the IDF.Tamar Pileggi, “PA busts Islamic Jihad cell planning attacks on IDF,” Times of Israel, December 2, 2015, http://www.timesofisrael.com/pa-busts-islamic-jihad-cell-planning-attacks-on-idf/. October 30, 2017: Israel destroys a tunnel beneath the Gaza-Israel border, killing 14 militants, including the head of PIJ’s armed wing in central Gaza. PIJ promises revenge. PIJ admits that the tunnel was meant for “kidnapping soldiers in order to free prisoners [from Israeli prisons].”Nidal al-Mughrabi and Dan Williams, “Seven killed as Israel destroys tunnel dug under Gaza border,” Reuters, October 30, 2017, https://www.reuters.com/article/us-palestinians-israel-tunnel/seven-killed-as-israel-destroys-tunnel-dug-under-gaza-border-idUSKBN1CZ1SL; Judah Ari Gross, “Mortar barrage fired at IDF on Gaza border, in retaliation for destroyed tunnel,” Times of Israel, November 30, 2017, https://www.timesofisrael.com/palestinians-fire-shells-at-troops-on-gaza-border-idf-retaliates/. November 30, 2017: PIJ fires 12 mortar shells from northern Gaza at an Israeli army post northeast of Gaza, causing minimal damage and no casualties.Judah Ari Gross, “Mortar barrage fired at IDF on Gaza border, in retaliation for destroyed tunnel,” Times of Israel, November 30, 2017, https://www.timesofisrael.com/palestinians-fire-shells-at-troops-on-gaza-border-idf-retaliates/. December 12, 2017: Two PIJ operatives are killed “while carrying out a jihadist mission,” according to a PIJ statement. Palestinian media reports initially blame an Israeli drone strike, which the Israeli military denies.Anna Ahronheim, “Two Palestinian Islamic Jihad Militants Killed in Gaza,” Jerusalem Post, December 12, 2017, https://www.jpost.com/Arab-Israeli-Conflict/Palestinian-media-IDF-forces-kill-two-militants-in-Gaza-Strip-517819. December 29, 2017: PIJ fires three mortar shells into southern Israel. Two of the mortars are intercepted while the third strikes the Israeli community of Sha’ar Hanegev, causing minor damage to a building. The IDF assesses that the mortars used in the attack and in the November 30, 2017, barrage were Iranian made.Judah Ari Gross, “Islamic Jihad was behind Friday’s mortar barrage, IDF assesses,” Times of Israel, January 3, 2018, https://www.timesofisrael.com/islamic-jihad-was-behind-fridays-mortar-barrage-idf-assesses/. May 28, 2018: PIJ fires 28 mortars at Israel from Gaza. The Israeli military intercepts most of the rockets but one lands outside of a kindergarten causing damage but no injuries.Amos Harel, Almog Ben Zikri, Yaniv Kubovich, and Jack Khoury, “Barrage of 28 Mortars Fired From Gaza to Israel; Kindergarten's Yard Hit,” Haaretz, May 29, 2018, https://www.haaretz.com/israel-news/rocket-sirens-heard-near-the-gaza-strip-border-1.6131162. October 26-27, 2018: PIJ fires dozens of rockets into Israel. Israel responds by bombing multiple targets in Gaza. There are no casualties reported on either side.Raf Sanchez, “Islamic Jihad vows revenge after three Palestinian teenagers killed by Israeli airstrike in Gaza,” Telegraph (London), October 29, 2018, https://www.telegraph.co.uk/news/2018/10/29/islamic-jihad-vows-revenge-three-palestinian-teenagers-killed/; Reuters, “Israel Bombs Dozens of Gaza Targets After Palestinian Islamic Jihad Group Fires Rockets Over Border,” Newsweek, October 27, 2018, https://www.newsweek.com/israel-bombs-dozens-gaza-targets-after-palestinian-islamic-jihad-group-fires-1190308. November 12-14, 2018: PIJ and Hamas fire more than 450 rockets into Israel, killing one and wounding dozens. After Israel responds with airstrikes in Gaza, the groups agree to a ceasefire on November 13. PIJ claims victory after Israeli Defense Minister Avigdor Liberman resigns on November 14 in protest of the ceasefire.Oren Liebermann, “Biggest Israel-Gaza firefight since 2014 ends in ceasefire,” CNN, November 13, 2018, https://www.cnn.com/2018/11/13/middleeast/israel-gaza-tesnions-escalate-intl/index.html; Judah Ari Gross and Raoul Wootliff, “Hamas claims Liberman’s resignation as a ‘victory for Gaza,’” Times of Israel, November 14, 2018, https://www.timesofisrael.com/hamas-claims-libermans-resignation-as-a-victory-for-gaza/. October 8, 1997: Secretary of State designates Palestine Islamic Jihad - Shaqaqi Faction as a Foreign Terrorist Organization.“Chapter 6. Foreign Terrorist Organizations,” U.S. Department of State, May 30, 2013, http://www.state.gov/j/ct/rls/crt/2012/209989.htm. Australia—listed PIJ as a terrorist organization on December 21, 2001.“Consolidated list,” Australian Government, accessed March 2, 2015, http://www.dfat.gov.au/sanctions/consolidated-list.html. Canada—listed Palestinian Islamic Jihad (PIJ) as a terrorist entity on November 27, 2002.“Currently Listed Entities,” Public Safety Canada, accessed March 3, 2015, http://www.publicsafety.gc.ca/cnt/ntnl-scrt/cntr-trrrsm/lstd-ntts/crrnt-lstd-ntts-eng.aspx#http://www.publicsafety.gc.ca/cnt/ntnl-scrt/cntr-trrrsm/lstd-ntts/crrnt-lstd-ntts-eng.aspx#2040. EU—listed Palestinian Islamic Jihad (PIJ) as groups and entities involved in terrorist acts on December 27, 2001.“Council Common Position of 27 December 2001 on the application of specific measures to combat terrorism,” EUR-LEX, accessed March 3, 2015, http://eur-lex.europa.eu/legal-content/EN/TXT/HTML/?uri=CELEX:32001E0931&from=EN. New Zealand—listed Palestinian Islamic Jihad (PIJ) as a terrorist entity on October 11, 2010.“Lists associated with Resolution 1373,” New Zealand Police, accessed March 3, 2015, http://www.police.govt.nz/advice/personal-community/counterterrorism/designated-entities/lists-associated-with-resolution-1373. United Kingdom—listed Palestinian Islamic Jihad - Shaqaqi (PIJ) as an organization believed to be concerned in terrorism in March 2001.“Proscribed Terrorist Organizations,” UK Home Office, last updated February 3, 2015, https://www.gov.uk/government/uploads/system/uploads/attachment_data/file/400902/Proscription-20150123.pdf. PIJ’s founders modeled the group’s Islamist objectives under the influence of Iran’s 1979 Islamic Revolution. Iran is PIJ’s primary source of financial support, according to the U.S. State Department.Holly Fletcher, “Palestinian Islamic Jihad,” Council on Foreign Relations, April 10, 2008, http://www.cfr.org/israel/palestinian-islamic-jihad/p15984. A 1998 lawsuit against Iran in U.S. federal court revealed that the Islamic Republic allocated $2 million in its annual budget to PIJ.Richard Sisk, “Terror Victim’s Dad Wins $247M Lawsuit Vs. Iran,” New York Daily News, March 12, 1998, http://www.nydailynews.com/archives/news/terror-victim-dad-wins-247m-lawsuit-iran-article-1.789077. That number has since skyrocketed—in late 2013, PIJ sources revealed that the terror group received about $3 million per month from Iran.Hazem Balousha, “Islamic Jihad May Respond If Israel Enters Syria War,” Al-Monitor, September 2, 2013, http://www.al-monitor.com/pulse/originals/2013/09/islamic-jihad-syria-us-strike.html. A February 2014 report by Ali Nourizadeh, director of the Center for Iranian Studies in London, stated that Iran provides PIJ with $100 to $150 million annually.Joshua Levitt, “Expert: Hamas Received $2 Billion from Iran; Islamic Jihad Gets $150 Million Annually,” Algemeiner, February 11, 2014, http://www.algemeiner.com/2014/02/11/expert-hamas-received-2-billion-from-iran-islamic-jihad-gets-150-million-annually/. According to PIJ spokesman Daoud Shihab, “all of the weapons in Gaza are provided by Iran,” and “everyone knows that Iran is financing” PIJ.Asmaa al-Ghoul, “Palestinian Islamic Jihad: Iran Supplies All Weapons in Gaza,” Al-Monitor, May 14, 2013, http://www.al-monitor.com/pulse/originals/2013/05/gaza-islamic-jihad-and-iranian-arms.html. In February 2014, a group of PIJ leaders, including Ramadan Shallah, made what Shihab called a “routine visit” to Tehran, which “still supports resistance factions.”Asmaa al-Ghoul, “Hamas Isolated as Iran Boosts Ties with Islamic Jihad, Fatah,” Al-Monitor, February 12, 2014, http://www.al-monitor.com/pulse/originals/2014/02/islamic-jihad-fatah-hamas-iran-palestinians.html. PIJ also receives aid through Iran’s Islamic Revolutionary Guards Corps (IRGC).Holly Fletcher, “Palestinian Islamic Jihad,” Council on Foreign Relations, April 10, 2008, http://www.cfr.org/israel/palestinian-islamic-jihad/p15984. The IRGC is Iran’s primary instrument for spreading the Islamic Revolution abroad and has acted as a conduit between the Iranian regime and PIJ. The IRGC provides PIJ with weapons, training, and funding. It reportedly began sending support after the PIJ was exiled to Lebanon in 1987.Holly Fletcher, “Palestinian Islamic Jihad,” Council on Foreign Relations, April 10, 2008, http://www.cfr.org/israel/palestinian-islamic-jihad/p15984. Since the beginning of the 2011 Syrian civil war, Iran has reportedly increased its support of PIJ at the expense of Hamas. Unlike Hamas, Iran supports Syria’s Assad regime and PIJ has noticeably maintained its base in Damascus, Syria (although PIJ otherwise appears to be neutral).Fares Akram, “In Gaza, Iran Finds an Ally More Agreeable Than Hamas,” New York Times, July 31, 2013, http://www.nytimes.com/2013/08/01/world/middleeast/in-gaza-iran-finds-a-closer-ally-than-hamas.html; Asmaa al-Ghoul, “Palestinian Islamic Jihad: Iran Supplies All Weapons in Gaza,” Al-Monitor, May 14, 2013, http://www.al-monitor.com/pulseen/originals/2013/05/gaza-islamic-jihad-and-iranian-arms.html. In 2013, Iran sent $2 million worth of food aid to Gaza during the Islamic holy month of Ramadan, entrusting members of PIJ with distribution. This aid bore stamps with the Palestinian flag alongside the PIJ logo and the Iranian flag.Fares Akram, “In Gaza, Iran Finds an Ally More Agreeable Than Hamas,” New York Times, July 31, 2013, http://www.nytimes.com/2013/08/01/world/middleeast/in-gaza-iran-finds-a-closer-ally-than-hamas.html. International Arabic-language newspaper Asharq Al-Awsat reported in 2012 that PIJ’s Syria-based leadership had relocated to Iran but continued to enjoy positive ties with their Syrian patrons. However, a PIJ official denied that report, claiming “relations between [PIJ] and the Syrian government are excellent, unlike Hamas,”“Islamic Jihad Leadership Relocates to Iran,” Asharq Al-Awsat (London), July 22, 2012, http://www.aawsat.net/2012/07/article55241265. whose leadership left Syria after refusing to support the Assad regime during the Syrian civil war. Official representatives of the group are also stationed elsewhere in the Middle East,“Country Reports on Terrorism 2013: Chapter 6. Foreign Terrorist Organizations,” U.S. Department of State, April 30, 2014, http://www.state.gov/j/ct/rls/crt/2013/224829.htm. including Iran.Asmaa al-Ghoul, “Hamas Isolated as Iran Boosts Ties with Islamic Jihad, Fatah,” Al-Monitor, February 12, 2014, http://www.al-monitor.com/pulse/originals/2014/02/islamic-jihad-fatah-hamas-iran-palestinians.html; “Islamic Jihad: Israeli Attacks on Gaza Backfired,” Tasnim News Agency, July 15, 2014, http://www.tasnimnews.com/english/Home/Single/432079l. PIJ and Hamas collaborate militarily in order to fight Israel. During the first and second Palestinian intifadas, Hamas and PIJ claimed joint responsibility for a handful of attacks, including an April 9, 1995 suicide bombing that killed seven Israeli soldiers and an American.“Major Bomb Attacks Since 1993 Peace Accord,” Fox News, December 2, 2001, http://www.foxnews.com/story/2001/12/02/major-bomb-attacks-since-13-peace-accord/. The groups continued coordinated attacks after the end of the second intifada and after Hamas seized control of the Gaza Strip in 2007. In November 2012, for example, PIJ and Hamas jointly bombed a Tel Aviv bus, wounding 29 people.Gil Cohen, “Israel Arrests Hamas, Islamic Jihad Cell behind Tel Aviv Bus Bomb,” Haaretz (Tel Aviv), November 22, 2012, http://www.haaretz.com/news/diplomacy-defense/israel-arrests-hamas-islamic-jihad-cell-behind-tel-aviv-bus-bomb-1.479958. After Hamas’s falling out with Iran in 2012, relations between Hamas and PIJ also degraded. Fighters from the two organizations clashed amid accusations that Hamas was targeting PIJ. In September 2013, however, the two terror groups announced plans to form a new joint command to create a better political atmosphere in Gaza.Elhanan Miller, “Hamas and Islamic Jihad to Form Joint Command,” Times of Israel, September 17, 2013, http://www.timesofisrael.com/hamas-and-islamic-jihad-to-form-joint-command/. In March 2014, PIJ fired a round of mortars into Israel, prompting an Israeli strike that killed three PIJ commanders. In retaliation, PIJ launched at least 130 locally made rockets into Israel as part of a military operation called Breaking the Silence, reportedly in coordination with Hamas.Hani Ibrahim, “Hamas’ Growing Rivalry with Islamic Jihad,” Al Akhbar English (Beirut), April 16, 2014, http://english.al-akhbar.com/content/hamas%E2%80%99-growing-rivalry-islamic-jihad. PIJ and Hamas also jointly launched rockets at Israel during Israel’s summer 2014 conflict with Hamas.“Hamas, Jihad claim joint attacks on Israeli cities,” Ma’an News Agency, July 15, 2014, http://www.maannews.com/eng/ViewDetails.aspx?id=713412. PIJ and Hamas have since continued to coordinate politically and militarily.Yaniv Kubovich, “Analysis Iran's Fighting Force in Gaza, Calling and Firing the Shots: This Is Islamic Jihad in Palestine,” Haaretz, June 17, 2018, https://www.haaretz.com/middle-east-news/iran/.premium-what-is-islamic-jihad-in-palestine-iran-s-fighting-force-in-gaza-calling-and-firing-the-shots-1.6158730; “Hamas meets with Islamic Jihad’s leadership, concludes with unified stances,” Hamas, November 2, 2018, http://hamas.ps/en/post/1660/hamas-meets-with-islamic-jihad%E2%80%99s-leadership-concludes-with-unified-stances. In 1987, PIJ was exiled from Gaza to Lebanon. There, the group reportedly began cooperating with Hezbollah and began training under Iran’s Islamic Revolutionary Guard Corps.Holly Fletcher, “Palestinian Islamic Jihad,” Council on Foreign Relations, April 10, 2008, http://www.cfr.org/israel/palestinian-islamic-jihad/p15984. PIJ and the Al Aqsa Martyrs’ Brigade, the armed faction of Fatah, have carried out a handful of joint terror attacks against Israeli civilians. Examples include an April 2006 suicide bombing at a Tel Aviv sandwich stand that killed 11 people“TIMELINE: Recent Bomb and Shooting Attacks against Israelis,” Haaretz (Tel Aviv), November 21, 2012, http://www.haaretz.com/news/diplomacy-defense/timeline-recent-bomb-and-shooting-attacks-against-israelis-1.479592. and a January 2007 suicide attack on an Eilat bakery that killed three.Holly Fletcher, “Palestinian Islamic Jihad,” Council on Foreign Relations, April 10, 2008, http://www.cfr.org/israel/palestinian-islamic-jihad/p15984. PIJ has been based in Damascus since 1989. An anonymous PIJ source told London’s Asharq Al-Awsat in July 2012 that the PIJ leadership fled Syria for Iran,“Islamic Jihad Leadership Relocates to Iran,” Asharq Al-Awsat (London), July 22, 2012, http://www.aawsat.net/2012/07/article55241265. though PIJ officially denied that it had abandoned its base in Syria.“Islamic Jihad Leadership Relocates to Iran,” Asharq Al-Awsat (London), July 22, 2012, http://www.aawsat.net/2012/07/article55241265. Despite Iranian support for PIJ and Syria, PIJ has otherwise appeared to remain neutral in the Syrian civil war.Asmaa al-Ghoul, “Palestinian Islamic Jihad: Iran Supplies All Weapons in Gaza,” Al-Monitor, May 14, 2013, http://www.al-monitor.com/pulseen/originals/2013/05/gaza-islamic-jihad-and-iranian-arms.html. According to PIJ spokesperson Daoud Shihab, “Palestine is greater than all axes, and we do not accept to be part of the [Syria] conflict.”Asmaa al-Ghoul, “Palestinian Islamic Jihad: Iran Supplies All Weapons in Gaza,” Al-Monitor, May 14, 2013, http://www.al-monitor.com/pulseen/originals/2013/05/gaza-islamic-jihad-and-iranian-arms.html. PIJ has, however, threatened to respond if Israel involves itself in the Syrian civil war.Hazem Balousha, “Islamic Jihad May Respond If Israel Enters Syria War,” Al-Monitor, September 2, 2013, http://www.al-monitor.com/pulse/originals/2013/09/islamic-jihad-syria-us-strike.html. “It is our right to respond to any aggression, including the right to respond to the crime of attacking the tunnel east of Dir al-Balah, where 12 Mujahideen from Al-Qassam and Saraya al-Quds fell. To clarify the matter, our children and our people are also dear to us, as are our leaders, and the terrorism and the threats of the enemy do not frighten us. The settler is a murderer and a criminal and must understand that his hands are stained with the blood of our children and will not stop killing until he is cut off or he leaves our land.”Avraham Gold, “IDF: We Will ‘Respond With Force’ to Threats From Palestinian Islamic Jihad,” Jerusalem Post, November 12, 2017, https://www.jpost.com/Arab-Israeli-Conflict/IDF-We-will-respond-with-force-to-threats-from-Palestinian-Islamic-Jihad-514017. “Behold the political slaughter dealt to leaders of the occupation who aren’t capable of dealing with Gaza.”Judah Ari Gross and Raoul Wootliff, “Hamas claims Liberman’s resignation as a ‘victory for Gaza,’” Times of Israel, November 14, 2018, https://www.timesofisrael.com/hamas-claims-libermans-resignation-as-a-victory-for-gaza/. “When the Syrians see that there is a war between Israel and the (Syrian) regime, a large part of the opposition will stand alongside the regime, and fight the Israeli enemy… We are part of the resistance, and we will be at the middle of the fighting with the Israeli enemy if it breaks out. Within 72 hours, half of the Galilee will have fallen into the hands of the resistance, because the Israeli army’s ability to stand ground has been corroded.”“#4739 - Palestinian Islamic Jihad Representative: In a Future War, Half the Galilee Will Fall within 72 Hours,” MEMRI TV, accessed March 2, 2015, http://www.memritv.org/clip/en/4739.htm. “The operation in Jerusalem was a natural reaction to the crimes committed by the Israeli Occupation Forces and Zionist settlers.”“Two Palestinian storm Jerusalem synagogue, kill four Israelis,” Al Akhbar English (Beirut), November 18, 2014, http://english.al-akhbar.com/node/22524. “We are now inside one of the tunnels of the Al-Quds Brigades [the military arm of PIJ], on which work began the minute the war on Gaza ended and the ceasefire was declared… We will not be hindered by the threats of the enemy or by the ban on importing cement and other building materials…These tunnels will also have other uses, which we will not disclose. [These tunnels will be used for] launching anti-tank weapons, especially the Kornet missile… Allah willing, we are awaiting instructions to go out and take on the targets of the enemy.”“Video shows Islamic Jihad’s new Gaza tunnels,” i24 News, September 9, 2014, http://www.i24news.tv/en/news/israel/diplomacy-defense/43188-140909-video-shows-islamic-jihad-s-new-gaza-tunnels; “#4478-Palestinian Islamic Jihad Digs New Tunnels in Gaza,” Middle East Media Research Institute, September 4, 2014, http://www.memritv.org/clip/en/4478.htm. “As the Zionist settlers were forced to emigrate from the settlements around the Gaza Strip, we will certainly witness the return of all the Zionists to their original places of residence outside Palestine in not-too-distant future.”“Islamic Jihad lauds Leader’s backing for resistance,” Press TV, August 27, 2014, http://www.presstv.ir/detail/2014/08/27/376781/islamic-jihad-hails-leader-backing/. “The issue of arms is connected to the existence of the occupation. This right is guaranteed by the laws of heaven and earth… When the Israeli occupation felt it had failed to face the resistance, it put all of its power in destroying homes and infrastructure in order to break the will of the fighters. Our nation will continue fighting until achieving all the goals set by the resistance.”“Islamic Jihad: Halting War and Ending Gaza Siege Are Not Demands but Rights,” Middle East Monitor, August 7, 2014, https://www.middleeastmonitor.com/news/middle-east/13310-islamic-jihad-halting-war-and-ending-gaza-siege-are-not-demands-but-rights. “Israel is targeting the Palestinians… I would just like to remind you of the ruling by the Israeli rabbis, who have instructed the soldiers to knead the [dough for] the bread that the Jews eat with the blood of Arab and Palestinian children.”Lazar Berman, “Islamic Jihad: IDF Soldiers Told to Bake Palestinian Blood into Bread,” Times of Israel, July 27, 2014, http://www.timesofisrael.com/islamic-jihad-idf-soldiers-told-to-bake-palestinian-blood-into-bread/. PIJ is a Palestinian Islamist terrorist group sponsored by Iran and Syria. Founded in 1979 as an offshoot of the Egyptian Muslim Brotherhood, PIJ is the second-largest terrorist group in Gaza today (after Hamas).